OnePlus Rumor Mill has begun this year, and we have the first leak of its next device in the woods. 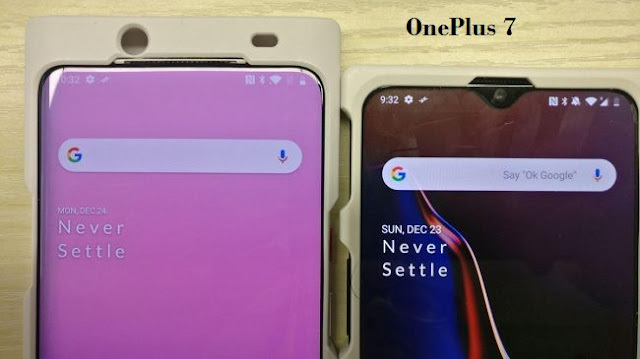 According to images posted by SlashLike, the company will dig up the notch for its upcoming OnePlus 7. The image shows a perceived prototype of the device in the Tan case, which has no traces and an all-screen design. It explains that OnePlus can choose the option of a slider mechanism to adjust the front camera and some other components. You can also see the grill above the display, in which the sensor is cut out. Of course, this is not China's first sliding phone in recent months. We have already seen Xiaomi's Mi Mix 3 and Honor Magic 2, so if these images are believed, OnePlus will be closed on that bandwagon instead of starting a new trend. Last year, OnePlus had said that he would be one of the first companies to include Qualcomm's latest Snapdragon 855 processor in his next device. So you can expect that the processor can power onePlus 7. The company also said that it will launch 5G-enabled phones this year. This can be either a version of OnePlus 7 for 5G-Ready Markets or a completely new device. OnePlus usually launches its device around mid-May or around May. Therefore, we have to wait for at least four months before hearing anything from the company. As a fan sliding phone, I look forward to it because it will be free from the notch. Expect to leak more in the coming months till the next launch of OnePlus.